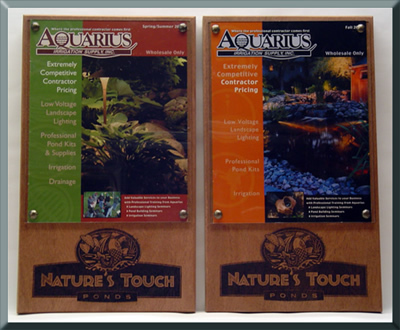 Darren Lucas is the Owner of Nature’s Touch Ponds, LLC. Darren has always had an interest in ponds and water gardens. After researching and building his first pond, he foun d many flaws with the information available for pond construction and maintenance techniques. He was determined to find an improved method to properly build ponds and filter system that would have kept the ponds crystal clear. After a few years of experimenting on his own pond and collaborating with fellow pond enthusiast, he has found multiple systems that are effective. Today he is well sought after for his knowledge and skills in the pond industy. With his knowledge and expertise he is capable of building and maintaining your dream koi pond and water garden. Darren is a Mid Atlantic Koi Club 'Koi Person of the Year' for 2002. He has also been a guest lecturer at many different events, including Koi America 2003. 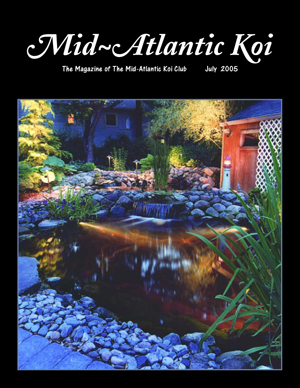 Much of his work has been featured in numerous publications; including the Mid-Atlantic Koi Club Magazine, Design NJ Magazine, and The Star Ledger News Paper. Darren is also always looking to keep himself up to date on all the new cutting edge techniques for construction and maintenance. He has attended many events like koi health seminars, pond trade shows, vendor seminars, and AKCA Seminars. He enjoys reading pond magazines and reading pond forums. He is actively involved with the IPPCA (International Professional Pond Contractors Association) and MAKC (Mid-Atlantic-Koi Club. To further expand his knowlege, he recently visited the Japanese Koi breeders in 2010. 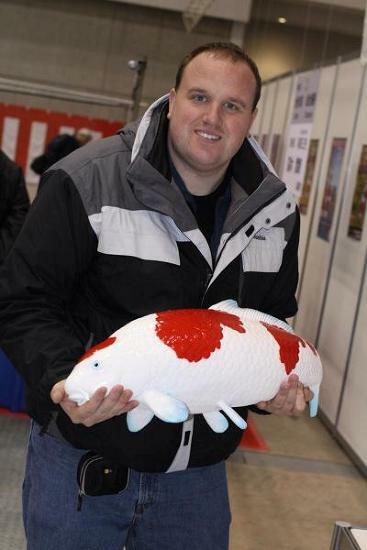 He not only spent three days visiting the Japanese Breeders, but also attended the 41st Annual All Japan Koi Show. While visiing he not only learned about the Japanese Culture, he also learned the dedication and devotion the Japanese people have for koi. He was able to learn about the many different varieties of koi, koi breeding and koi health.